Chinese company’s latest smartphone features four Leica cameras, a new “dewdrop” notch and a battery life that promises to surpass all of its predecessors. Launched in Paris at a huge global event, Huawei’s latest trio of photography-centred smartphones have been announced. Comprising of the P30 Pro, the P30 and the P30 Lite, all three have been designed to appeal to photographers, featuring several interesting and innovative camera functions. The most advanced of the trio is the P30 Pro. It features a quad-camera setup co-developed with Leica, giving the user a super-wide angle 20 megapixel camera, a standard 40 megapixel camera (as we’ve seen before in the P20 Pro and the Mate 20 Pro) and a folded-optics telephoto lens coupled with an 8 megapixel sensor. Boasting improved rectilinear correction, the wide-angle lens offers the same 16mm-equivalent view as that found on the Mate 20 Pro, but promises to produce more natural results. The telephoto lens has been bumped up from 3x to 5x, with Huawei claiming it to be the “best optical zoom lens ever found in a smartphone”. To get even closer to the subject, a hybrid digital “lossless” zoom of up to 10x is also available. The fourth lens is known as a “Time of Flight” or “TOF” lens. It is used to create a depth map by casting light into a scene, then measuring how long it takes for the light to come back to the sensor. By doing this, Huawei claims that it can build up a richer understanding of how to render depth of field. Behind all the lenses, the sensors have been redesigned. Instead of using a standard RGGB (red, green, green, blue) colour filter array, it is now a RYYB (red, yellow, yellow, blue) construction. Huawei claims that this makes the phones better suited to low-light photography since there is more light available in the yellow spectrum than green. Since we’ve already been impressed by Huawei’s low-light capabilities in the Mate 20 Pro and the P20 Pro, it’ll be interesting to find out just how much this has improved. Mechanical OIS (optical image stabilisation) is available when using both the main sensor and the telephoto sensor, and it can now also be used when shooting 4K video for more stabilised results. Other new features of the camera include the introduction of a “handheld silky water” mode, which works in the same way as the current Night mode to create a long exposure effect by merging together a series of shorter exposures, and an improved 32 megapixel front-facing camera which is capable of shooting “Super HDR”. 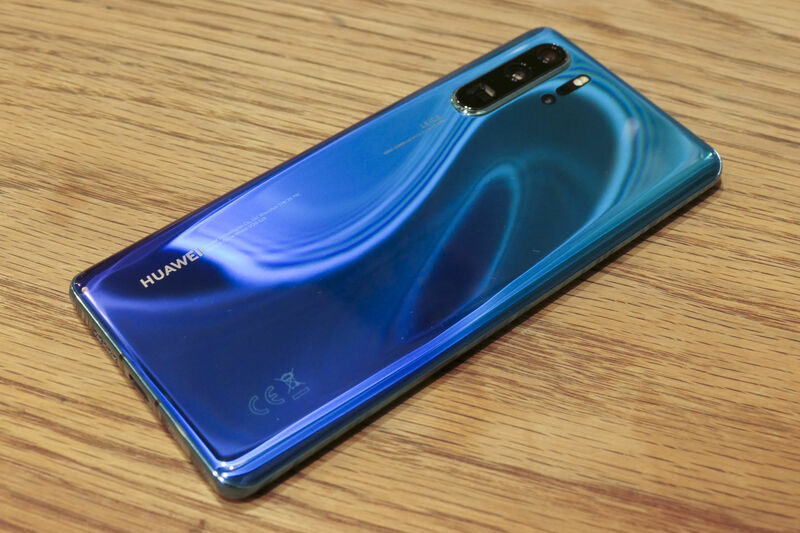 The P30 Pro’s display is a curved 6.47-inch curved OLED 2K, and makes use of what Huawei is calling a “dewdrop” notch. This very small notch is found in the centre of the top of the screen, using as little as the screen as possible. 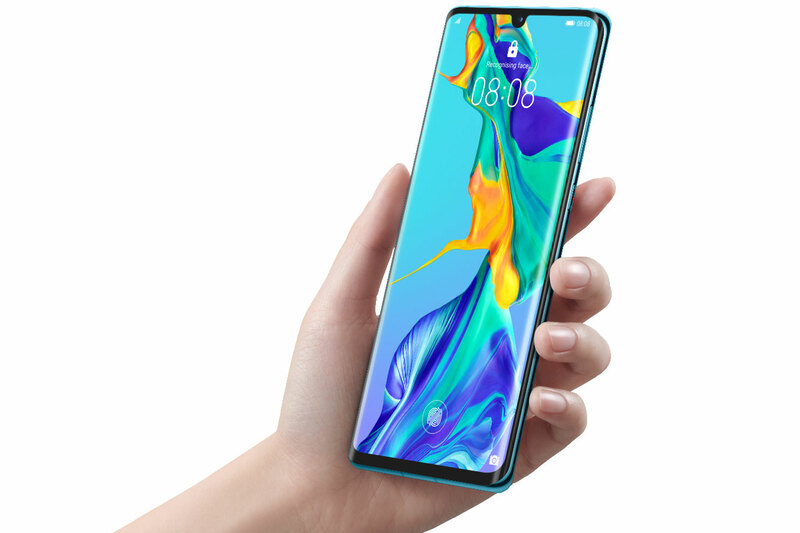 Huawei’s sub-brand Honor debuted a “hole-punch” notch with the Honor View 20 back in January, but the dewdrop notch arguably has a more elegant appearance to it. On the downside, using such a small notch is likely to have an impact on the speed and security of face unlock. 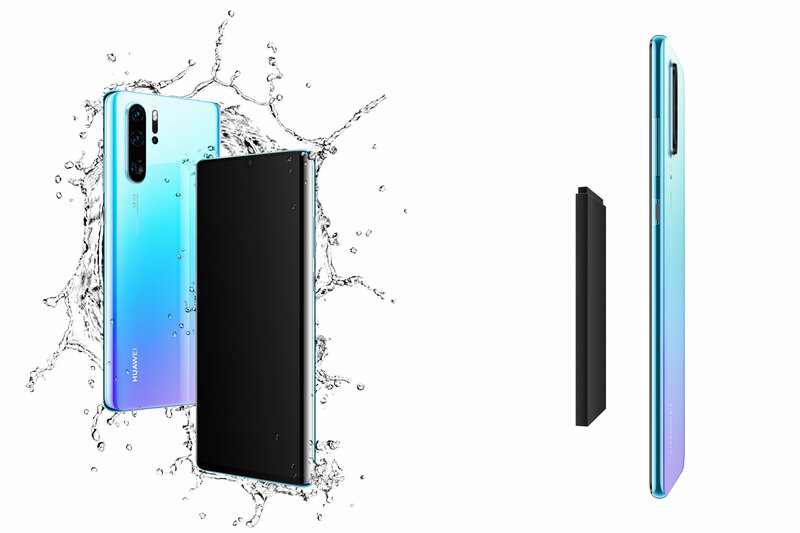 As with the Mate 20 Pro, the P30 Pro features a 4200mAh battery – however, thanks to changes in processing algorithms, Huawei says that the battery should last even longer than before. It comes with 8GB RAM and an option of either 128GB or 512GB internal storage. The P30 Pro is IP68 water resistant, meaning it can be dunked in water to a depth of 1 metre for up to 30 minutes at a time. The standard P30 uses a triple Leica camera set up, similar to the outgoing P20 Pro. Here you get the 40 megapixel main sensor, a 16 megapixel super-wide-angle and a 3x optical zoom lens. There’s no TOF camera. The P30 has a lower rated battery (3650mAH), and 6GB RAM. It is IP53 rated, which should make it resistant to rain. Pre-orders for the P30 series will be available from the first week of April. The P30 Pro will retail for £899 for the 128GB version, or £1099 for the 512GB version.